French fries might not come from France. A claim is made that their origin can be traced to Belgium, but nobody knows for sure who gets credit for these tasty morsels. Before fries can come into existence you need the humble spud. For that, we have to thank Mother Nature and the Inca Indians of what is now Southern Peru. Somewhere between 7,000 and 10,000 years ago, they turned wild potatoes into a cultivated crop. The Spanish Conquistadors raped, pillaged, and brutalized their way into South America and, by 1536, had conquered Peru. They thought the potatoes interesting and took them back to Europe with them. They were small and a little bitter, but selective breeding turned them into one of the most popular crops and foods. 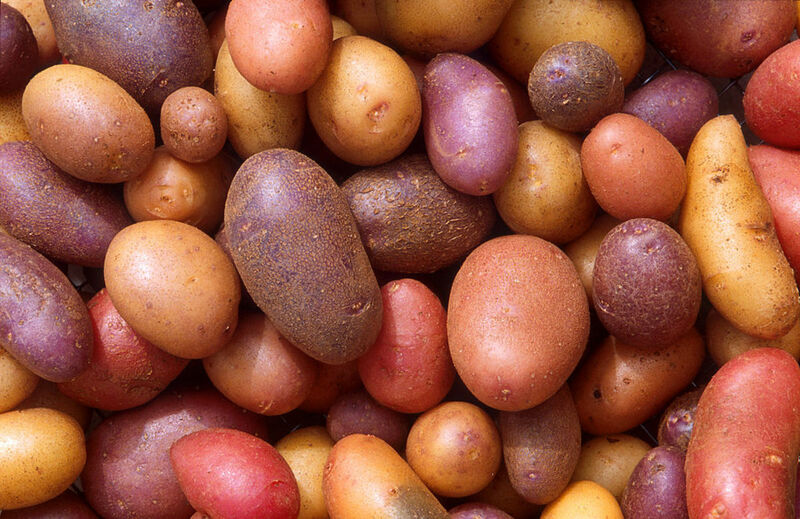 There are now more than 1,000 different varieties of spuds in the world. 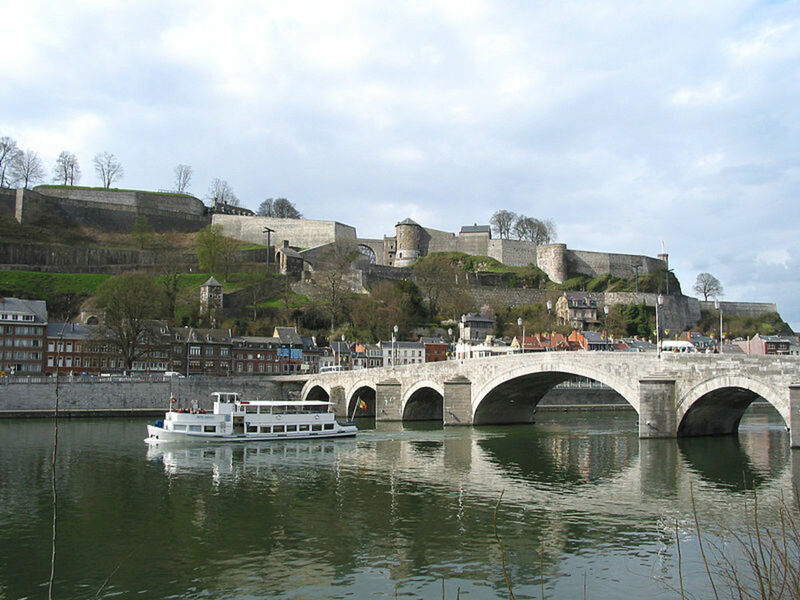 The frequently told story is that the people living in the Meuse valley around Namur invented the French fry. This area is in the French-speaking part of Belgium and dates back as a settlement into pre-history. By the Middle Ages the locals were particularly fond of fried fish they hauled out of the River Meuse. 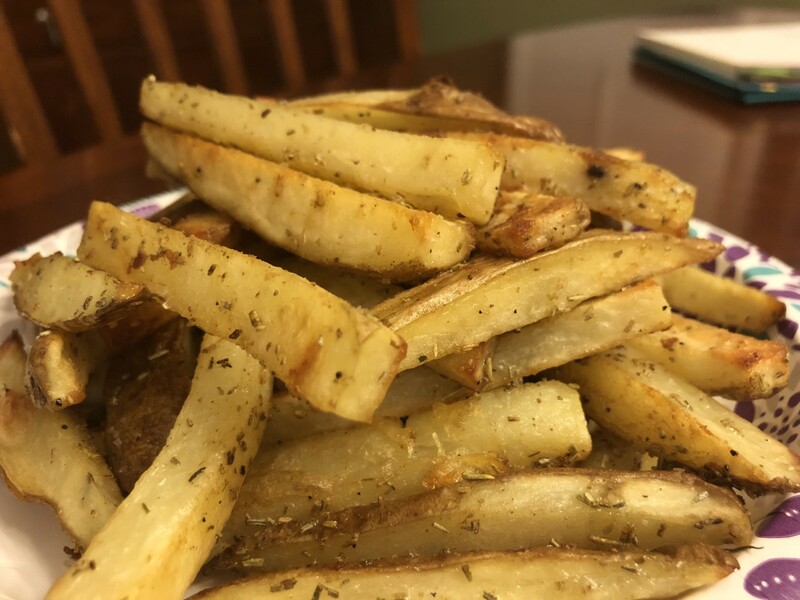 In 17th century, during a period known as the Little Ice Age, the Meuse froze over and, the story goes, people cut potatoes into thin strips and fried them up as a substitute for the fish they liked so much. There might be something in this because at the time much of this area was under Spanish control and, as we’ve seen, they brought taters to Europe. However, this part of the world wasn’t Belgium back then it was the southern Netherlands. Belgium as a country did not come into existence until 1830. But, of course, it was a prime battleground as the two sides tried to annihilate each other in World War I. As American soldiers joined the slaughter some were stationed in and around Namur where they came into contact with the deep-fried potato fingerlings. The doughboys were a little bit shaky on geography and, because the locals spoke French, assumed they were in France. So, they started calling the food French fries. That story is far from entirely undisputed. A competing narrative is that Thomas Jefferson brought the delicacy back from France after his spell there as U.S. ambassador from 1785 to 1789. “Frites Belge? Non, non Monsieur,” might the French retort, delivered with a Gallic wag of the finger. A French army medic named Antoine-Augustine Parmentier was captured by the Prussians during the Seven Years’ War (1756-1763). As he sat out hostilities in Prussia he was given potatoes as part of his diet. At the time, the French considered potatoes fit only for feeding to pigs. There was a widespread fear that spuds caused leprosy so the government banned them for human consumption in 1748. During his incarceration, Antoine-Augustine found potatoes surprisingly nourishing. He returned to France at the end of the war entirely free of symptoms of leprosy. 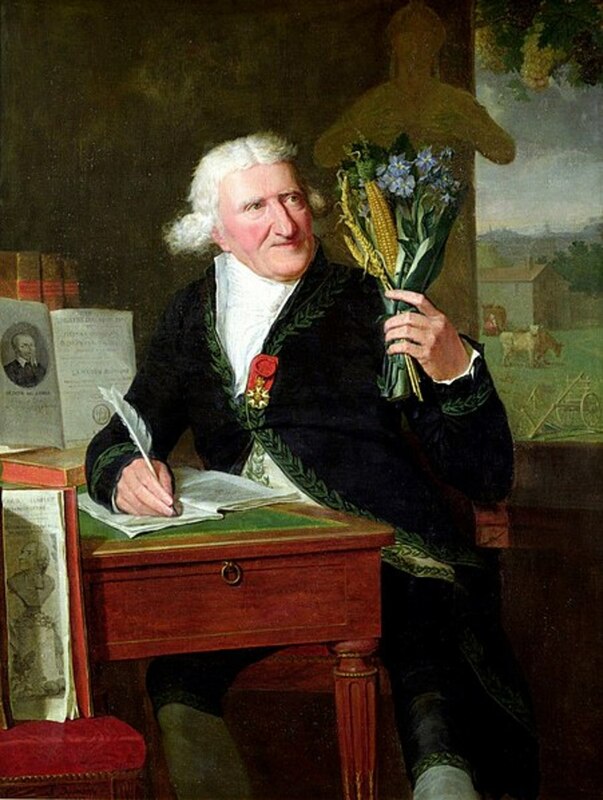 He started promoting potatoes as good food and, in 1771, the Paris Faculty of Medicine declared the pomme de terre fit for human consumption. Soon, the now-popular potato was turning up in restaurants and on the carts of street vendors as frites. 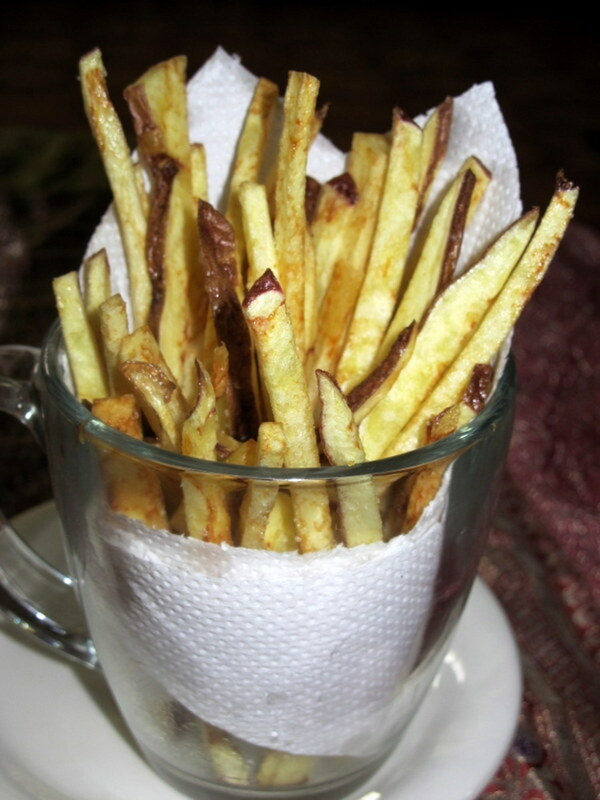 But, who first came up with the idea of deep-frying fingerlings of potato is a mystery. Oh Dear. Here comes food historian and Professor Pierre Leclercq at the University of Liège, Belgium. In the University’s publication Culture, he writes that the whole Meuse River valley story is based on an uncritical reading of a 1781 manuscript written by one Joseph Gerard. Then, he writes that “the excellent work of Fernand Pirotte tells us that the potato was introduced in Namur only around 1735.” So, without time machines, the peasants could not have been frying spuds on the frozen Meuse in the 1600s. And, another thing. 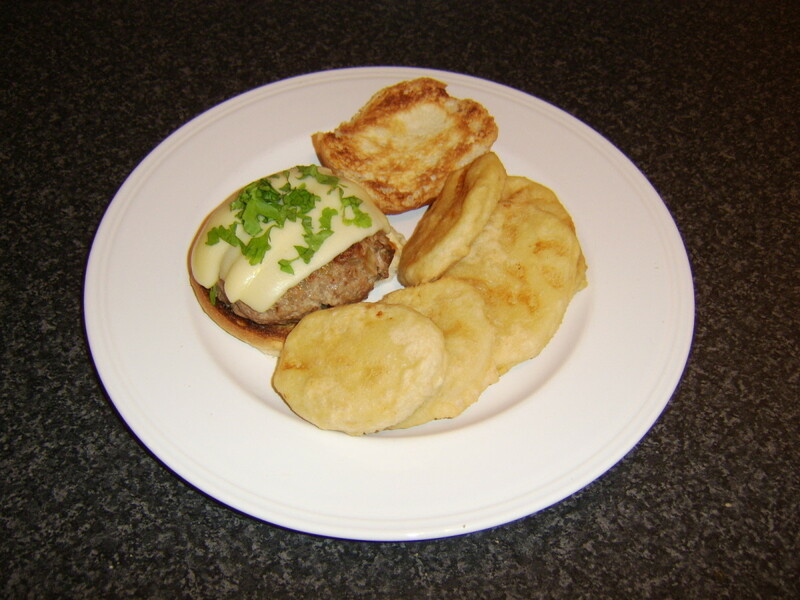 Ordinary folk could not have invented deep-fried potatoes. Being in possession of enough fat to do the cooking was beyond the means of all but the rich in the 18th century. 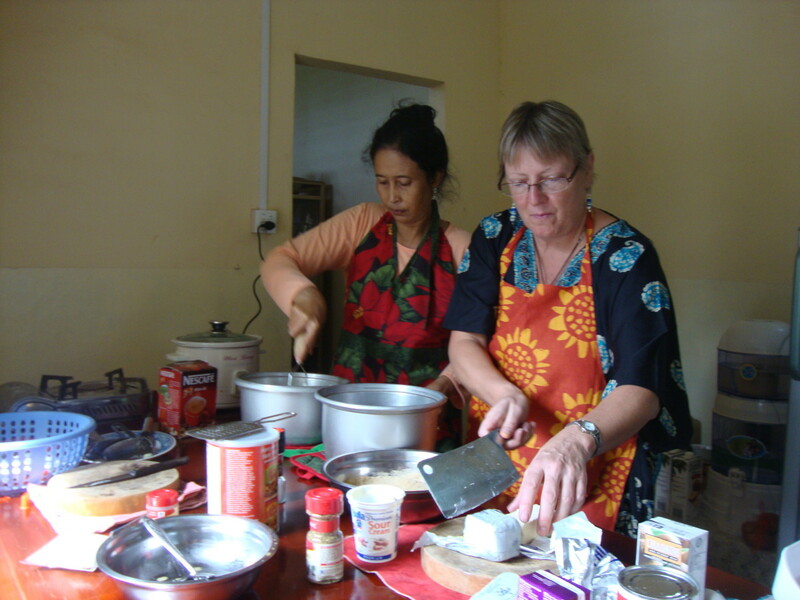 Prof. Leclercq says if they got their hands on fat at all, poor people simply ate it. So, the frozen river yarn of the Little Ice Age appears to be fiction. However, it’s been repeated so often that it’s dressed itself in the mantle of truth. A Belgian trash-talking the origin of the Frites Belge? Mon Dieu. The Belgians are not giving up their claim without a fight. The country has a petition before the United Nations Educational, Scientific, and Cultural Organization “to endorse the fry as an official icon of Belgian cultural heritage” (BBC). And you thought the UN didn’t have important issues on its agenda. 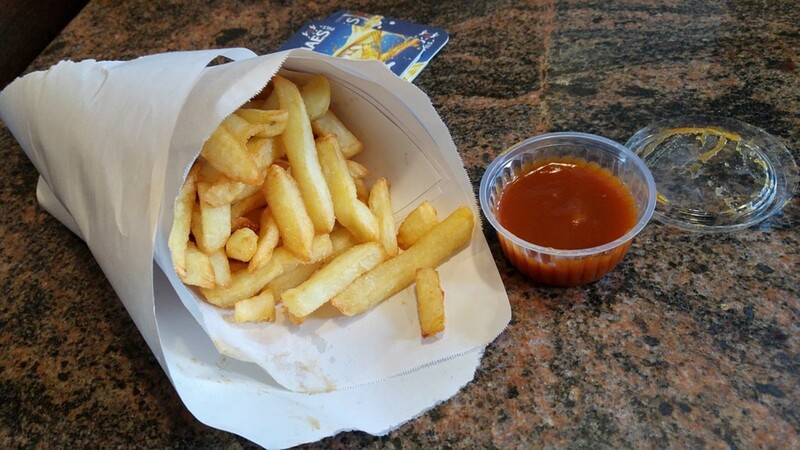 And, it has to be said that anyone who has eaten Belgian frites will never be happy with French fries served up by a fast food chain. Called fritkots, modest structures (some call them shacks) dot the Belgian landscape. However, politicians deemed them to be health hazards and ugly so began closing them down in the 1980s. 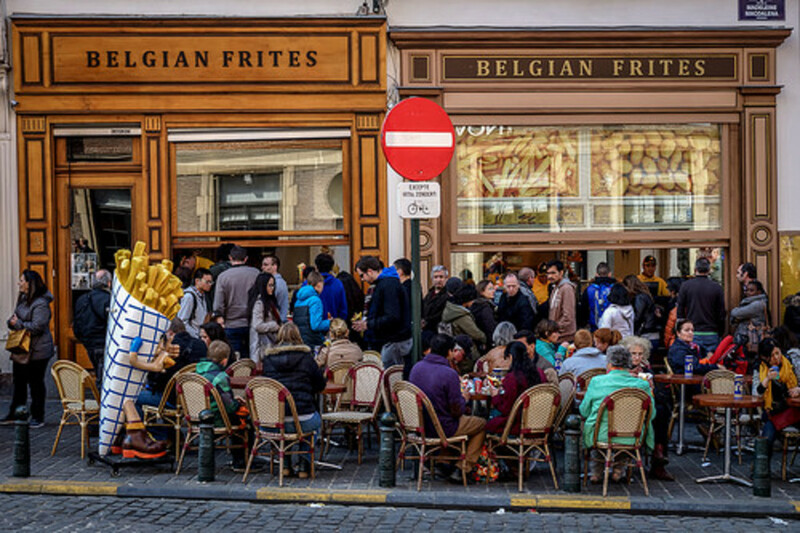 Expert on Belgian frites history Hugues Henry says there are now only 1,600 fritkots left out of the 10,000 that existed at the end of the 1970s. The Holy Grail of the vending-machine business is an appliance that delivers fresh French fries on demand. Fortunes have been spent trying to develop such a device but none have, as yet, been made. An Australian company patented one design in 1982 and then folded. In 2008, Beyondte Technology in China began developing a vending machine that has since been taken to market by a Belgian company. But, why anyone would use such a contraption when there are so many real, live Belgian frites shops around is a question for others to answer. In 2003, the French government refused to back then-President George W. Bush’s ill-conceived attack on Iraq. In retaliation, Republican Chairman of the Committee on House Administration, Bob Ney, ordered French fries be renamed Freedom fries in Congressional cafeterias. Ney was later convicted of corruption and sentenced to 30 months in prison. The French fry name was reinstated. 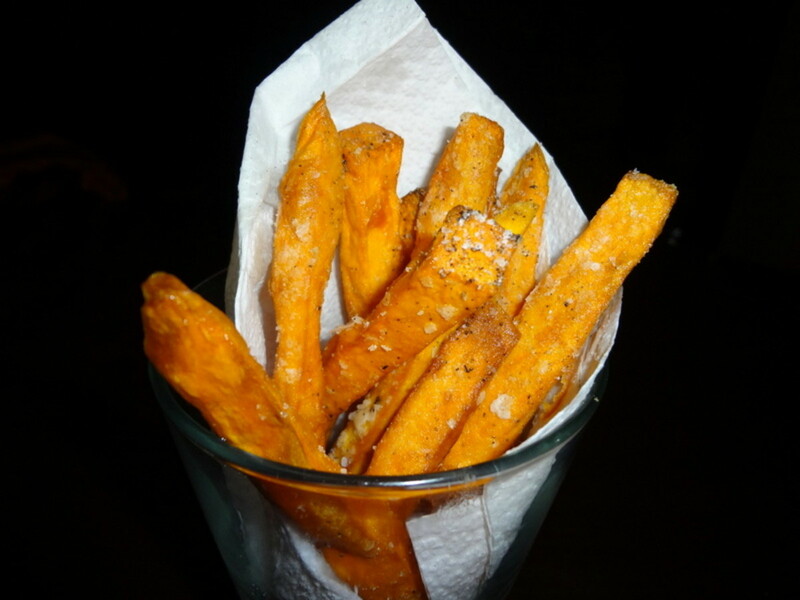 “The History of French Fries.” Dave Hiskey, Today I Found Out, September 23, 2010. “The True Story of the Fried Potato.” Pierre Leclercq, Culture, University of Liège, March 2009. The Brussels Fries Museum. Undated. “La Frite Est-elle Belge ou Française?” Le Monde, February 1, 2013. “Just Don’t Call Them French Fries.” Paul Ames, Salon, October 31, 2012. “Can Belgium Claim Ownership of the French Fry? Emily Monaco, BBC, July 31, 2018. Hello, Rupert, this is your first article on food and cooking I am reading. I thought you only wrote on war, history, love, and social buzz. My interests in your other stories still move me on. No wonder, this story is an eye-opener. I like potatoes. I had been eating them since in my boyhood days. Irish, African, and sweet potatoes these are much familiar with me. But I am also watching in the reputable food mall in my state for imported varieties. I had heard of French fries, but Belgium fries only today. 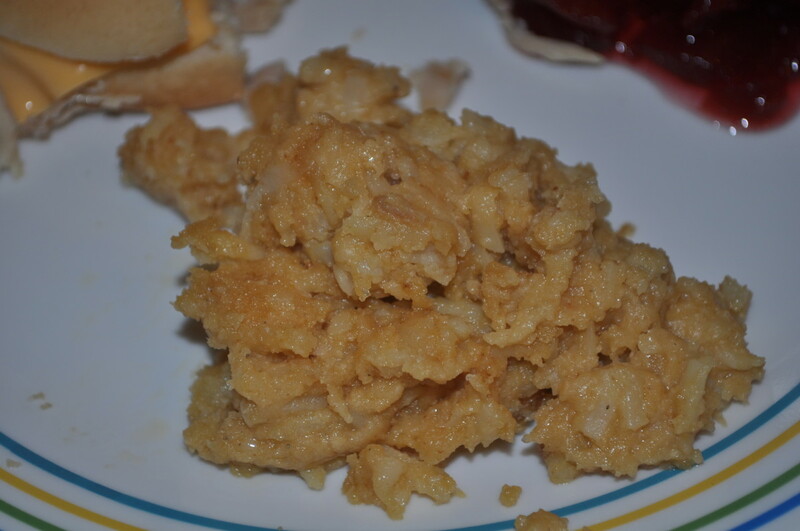 I don't think the deep frying of the foods will affect me adversely. I only eat fries occasionally. Yes, I cook potatoes with vegetables and fruits as breakfast or lunch meal. I eat them with fish for health reasons. Thank you for sharing. Poor Rochelle never having eaten poutine. 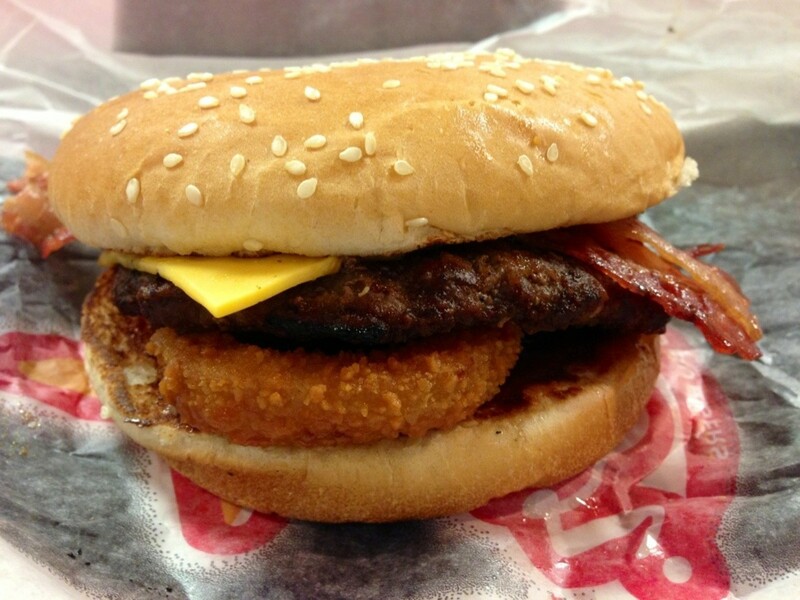 It's a wonderful artery-clogging dish. Not healthy at all but then what good tasting food is? 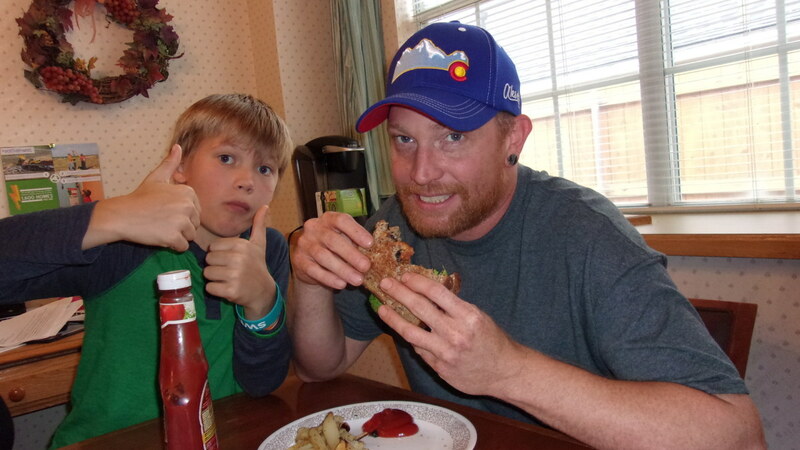 Though fried foods don't agree with me much any more "French" fries are almost irresistible. I didn't realize that the Belgians were trying to take over the honor of inventorship. 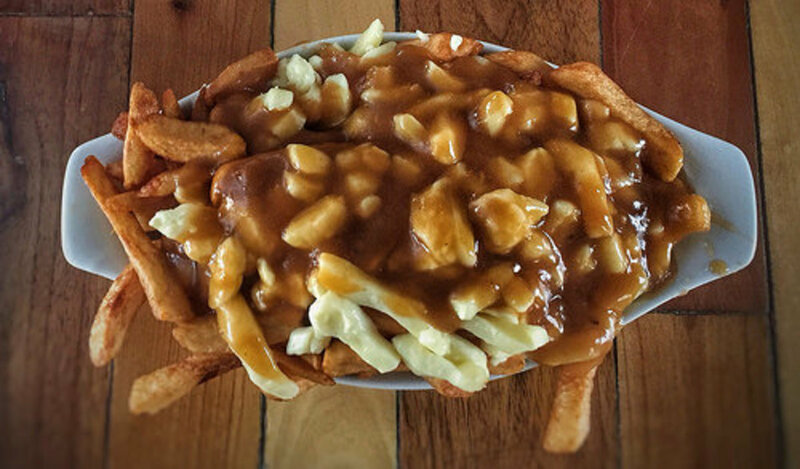 I've never had poutine, though I think you would have to live in a very cold climate to tolerate that much caloric comfort.